The Definitive Technology SR9040 surround speaker is your answer for remarkable, immersive, room-filling sound so you can experience every detail of pure home theater. 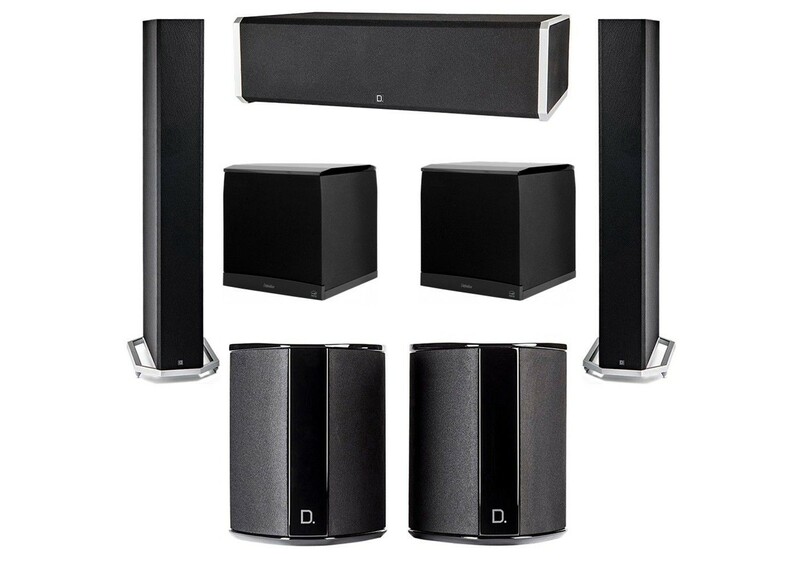 Its Bipolar speaker dispersion pattern provides enveloping surround sound, tremendous dynamic range as well as true high-definition sound quality, which results in total sound field immersion. Timeless, minimalist design. This is what obsession sounds like.